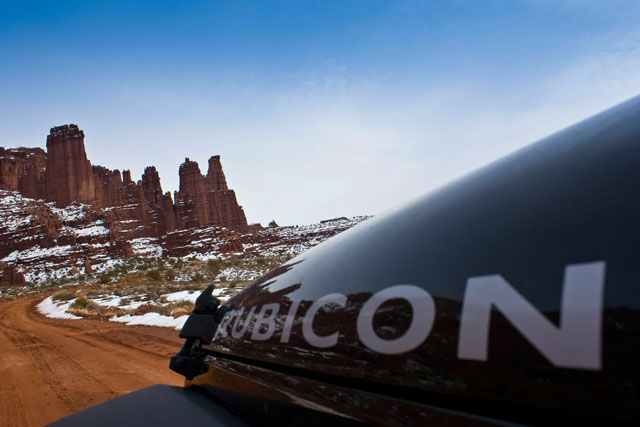 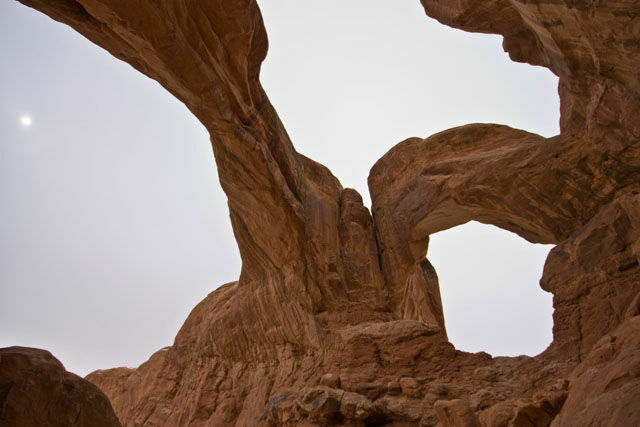 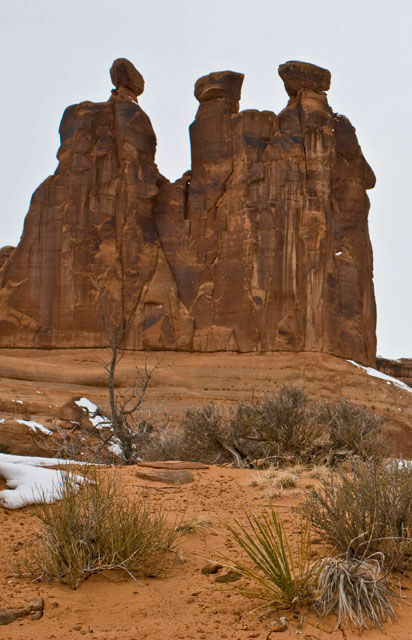 My goal for President’s Day was to head out to Moab and to find some geocaches. 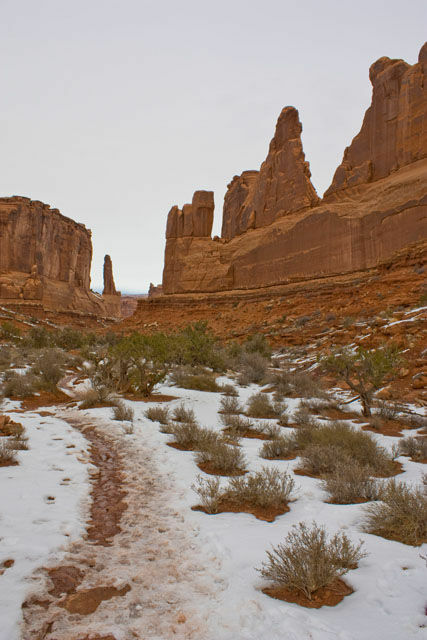 However, there was more snow and ice around Moab than I had hoped for, which killed that idea, as I was not about to go digging in ice and snow looking for geocaches. 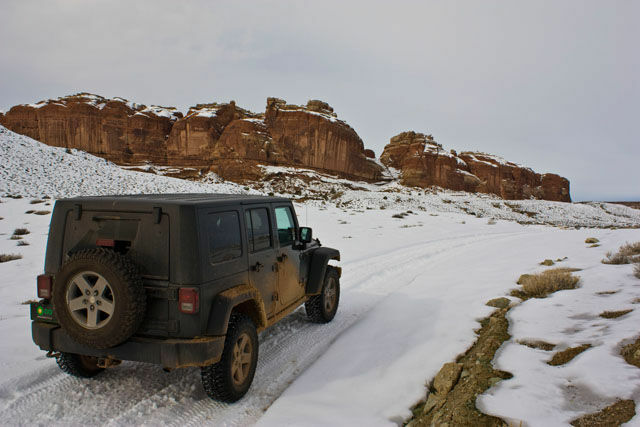 I had started out on the Cotter Mine Road hoping to find some caches near the Monitor & Merrimac Buttes, but when I reached the turnoff, I quickly found out that it had not been traveled. 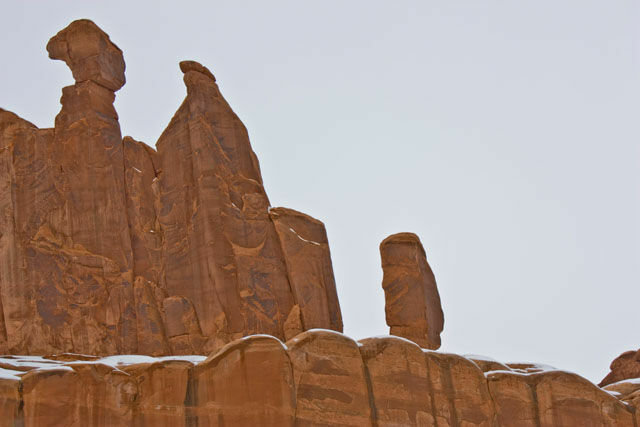 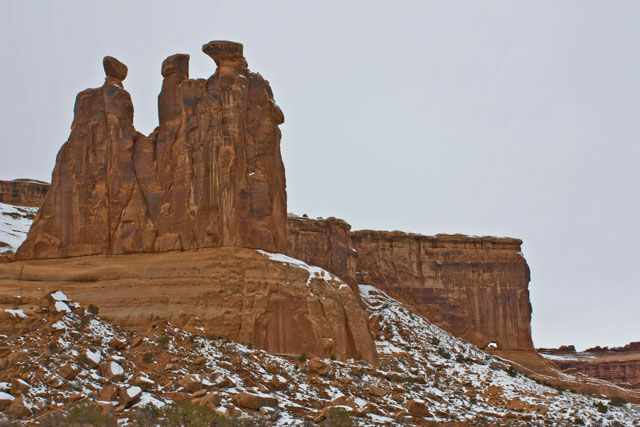 Instead of breaking through the icy snow, I decided to loop around back to the highway and head to Arches National Park. 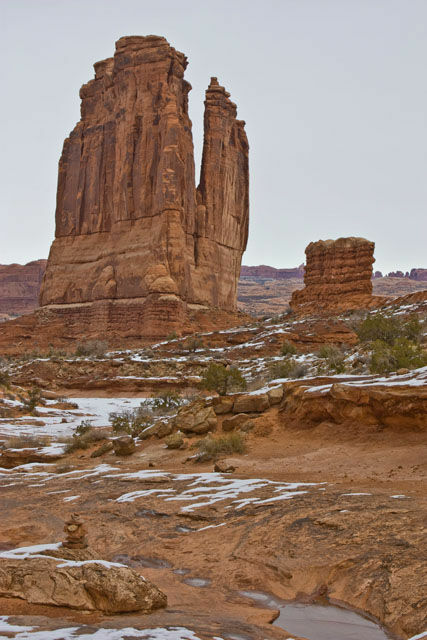 When I arrived at the park, I made my way towards The Organ, where I parked my Jeep and started hiking up the Park Avenue trail. 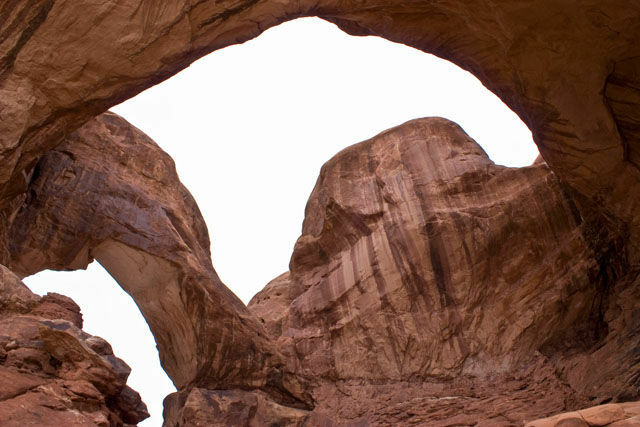 After hiking the two miles round trip and ending up at my Jeep again, I then headed over to Double Arch, which I had to myself. 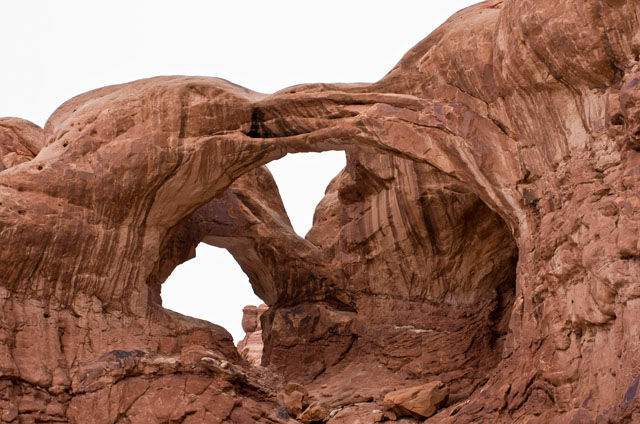 After spending some quality time hanging out at Double Arch, I headed out of the park via the Willow Springs Road. 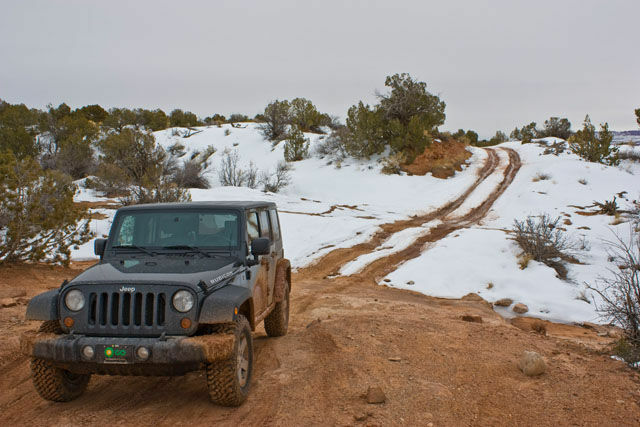 It turned out to be a little bit muddy…. 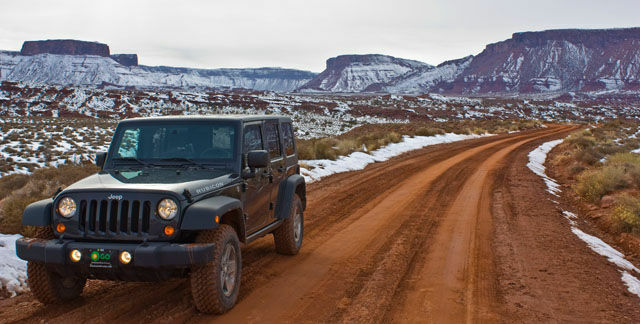 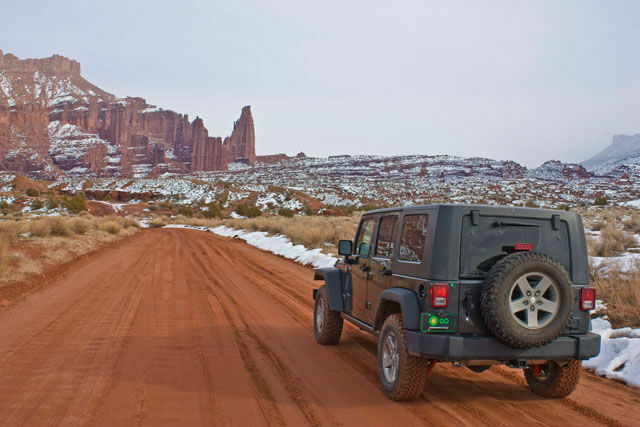 When I reached the highway again, I made my way to Moab and had a late lunch at Fiesta Mexicana after spending some quality time at a car wash… Of course, on my way back home I was tempted to head out to the Fisher Towers and got my Jeep a bit dirty again!